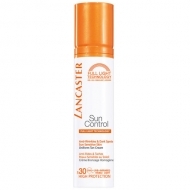 Offers a repairing action after sun exposure. 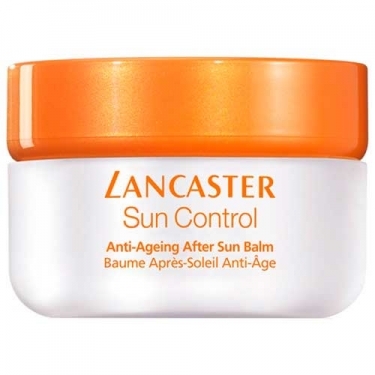 Sun Control Anti-Ageing After Sun Balm from Lancaster is an after-sun balm to repair skin damaged by sun exposure, acting as a "second skin". 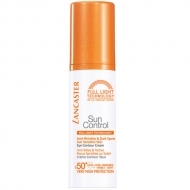 Sun Control is a line of sun care that combines the broadest protection against UVB rays, UVA rays and infrared with the best anti-aging technology. 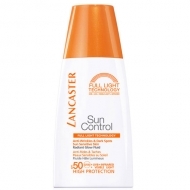 Apply all over the face and neck after sun exposure. Note: a hand size sunburn is considered to be serious. If you have a sunburn, you should seek medical attention and drink plenty of water. 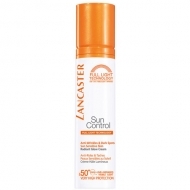 Do not put greasy products or lotions which may leave greasy residues on sunburns. Do not use fingers to tear off skin flakes, this irritates the skin and you may hurt seriously your skin. In this case, you should immediately seek medical advice at the nearest hospital. You should not expose the injured area until is completely healed.